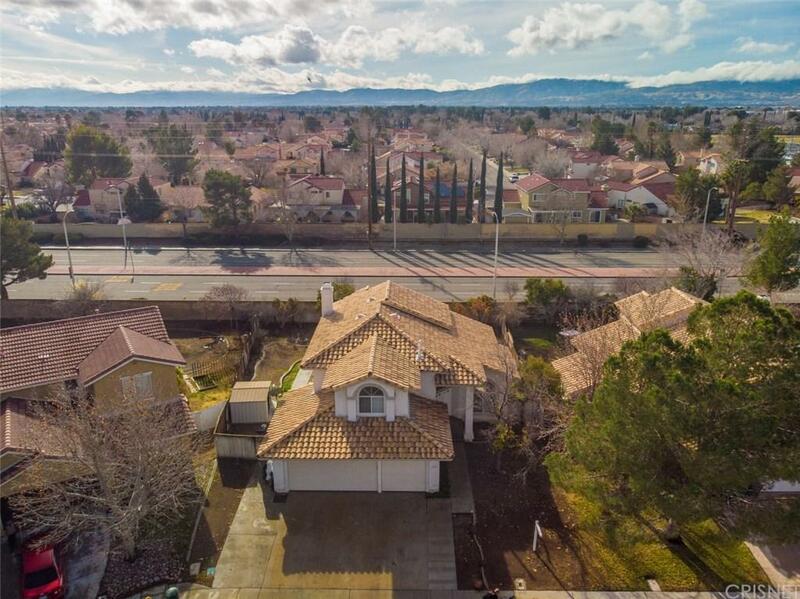 Excellent opportunity to own a property close to AV College, shopping, restaurants, and freeway access. End of cul de sac location for this 1990 built home with tile roof featuring over 2,000 square feet, 4 bedrooms, 3 baths. One bedroom and bath is downstairs. The quintessential perfect floor plan with tile entry, formal living and dining area. The chef's kitchen has granite counters, center island, and connecting family room with fireplace. Large master suite upstairs and two additional bedrooms with hall bath. The backyard is spacious and no rear neighbors. There is a 3 car garage and plenty of room to park in the driveway and on the street. Side yard has a shed to store gardening tools.